...and I don't want everything I see, I just want the little bit that you promised me. From the first notes of “Gospel Train,” as Melody Walker’s soaring voice entwines around the phrase “I woke up with heaven on my mind,” you’ll hear that Front Country isn’t your usual bluegrass band. When the fiddle and distorted acoustic guitar come crashing into the song like roaring waves, rushing back and forth with swelling ferocity, you’ll know that this is bluegrass unleashed, American roots music that refuses to be constrained. Each song on the album points to traditional influences, but it’s clear that Front Country views these traditions as a launching pad for grander explorations. On their highly anticipated debut full-length album, Sake of the Sound, Front Country blend everything from high-lonesome mountain music to new-wave power pop, newgrass picking, oldgrass harmonies, and just plain glorious musicality. This is Americana at its best: music with deep roots and wide-ranging vision. Coming out of the California Bay Area’s red-hot roots music scene, Front Country first made waves with a rare double band competition win at both the Telluride and Rockygrass music festivals. Following national tours and invites to prestigious events like Wintergrass and IBMA, anticipation has been mounting for their debut full-length album. 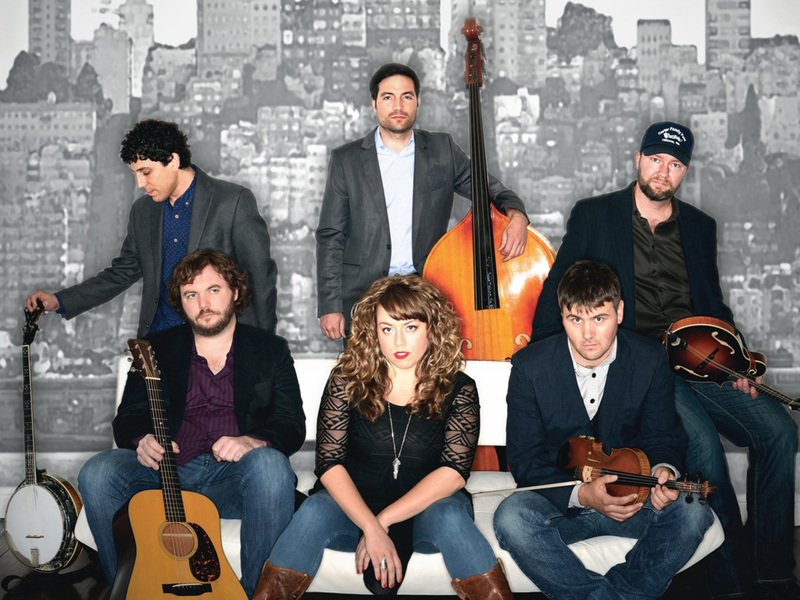 Wanting to create something that pushed their sound even further, Front Country recruited renowned instrumentalist, composer, and songwriter Kai Welch (Abigail Washburn, Bela Fleck) to produce Sake of the Sound. With Welch at the helm, Front Country were able to unite their many far-reaching musical influences and inspirations and do credit to their electrifying live show. The songs on the new album are sourced from all across the Americana spectrum (Utah Philips, Bob Dylan, Kate Wolf), but each cover brings a fresh, new perspective. New songwriters like Nashville scribe Sarah Siskind or Laura Wortman of The Honey Dewdrops bring powerful songs as well, but Front Country truly shines when the original songs of lead singer Melody Walker give them room to flex. “Colorado” is a gorgeously crafted showcase to both Walker’s voice and the understated power of each instrumentalist in Front Country. Melody’s songs draw out Front Country’s furthest reaching interests in music. Her title song “Sake of the Sound,” a rapturous musical ode set during the 1906 San Francisco earthquake, references Paul Simon’s “Graceland” or Michael Jackson’s “Thriller” as easily as new-wave progressive bluegrass bands like Crooked Still or The Punch Brothers, and even dips into Melody and Jacob’s interests in ethnomusicology and Afro Pop. With a global span of interests and world-class talent, it’s no wonder Front Country’s bluegrass sounds like it was born in a new century. Front Country formed in 2011 from a monthly gig with friends in San Francisco’s Mission District. They quickly found a musical rapport that was open to challenging arrangements, unique covers and original songwriting. Melody Walker brought her award-winning songwriting to the table and her hall-shaking voice, which sounds like a mix between Bonnie Raitt and Natalie Maines. Mandolinist Adam Roszkiewicz was nominated for a Grammy in 2013 for his work with the Modern Mandolin Quartet, and is a composer of new acoustic instrumental music. The offspring of a concert violinist and a geology professor, fiddler Leif Karlstrom is an explosive mix of talent and precision, erupting like a bluegrass volcano. Banjo player Jordan Klein has been an asset to the Bay Area bluegrass scene for over ten years and can be found picking in the campground of many a festival till the wee hours. Starting out on electric bass in funk bands, Zach Sharpe plays upright bass on-stage, and picks a mean banjo off-stage. Jacob Groopman is the hardest working man in Front Country, acting as both lead guitarist and head cat-wrangler, while supplying sweet harmony vocals and spiritual guidance for a crew of six. Six powerhouse roots musicians at the top of their game may be a lot to wrangle, but Front Country has pulled off an album that not only showcases each artist, but also has something new to say about what American roots music can mean today. It’s no small feat, but they do it for the sake of the sound.